Mr. Goldsmith is a retired Law Enforcement officer and has over 34 years experience in conducting various types of Investigations. Mr. Goldsmith and some of his cases, have been profiled in various TV news, newspapers and even a segment on the television news shows "48 Hours" and "A Current Affair". A Competent Professional Investigator, you can Trust. 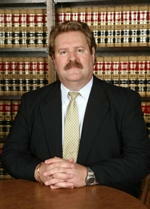 Mr. Goldsmith is a Certified Fraud Specialist with the Association of Certified Fraud Specialists since 2000. Expert in Financial Fraud and Medical Fraud Inestigations. When you need a job done with Integrity and Experience. Contact for a confidential consultation.